Tom Oliva | Abrahamse & Company Builders, Inc. Bringing twenty years of experience, longtime central Virginia resident Tom Oliva joined Abrahamse & Company in 2010. “My favorite parts of building,” Tom offers, “are skilled finishing and trim work.” Tom brings a critical eye and high standards to bear on all phases of the job. 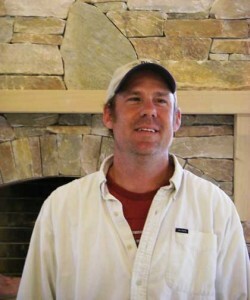 While Tom’s real love is residential work (see the Farmington Renovation featured on the company website), he has recently supervised two fast-paced commercial projects – one the Charlottesville Day School which had a tight schedule and the second was Varian tenant build out project at the Old Martha Jefferson Hospital building. Varian involved intense coordination with multiple tenants and contractors. Tom already has a reputation in our organization of trying to beat the schedule and doing it successfully. Tom has two sons, Sean and Alexander, who sometimes like to build with their dad.